This is a week after I bought this Banana Plant for my hubby. As you can see, it has improved and we both are happy to see that it keeps sprouting. I was a little bit concern about the temperature we have in this State, however I am glad that the plant gives the more lively sign. 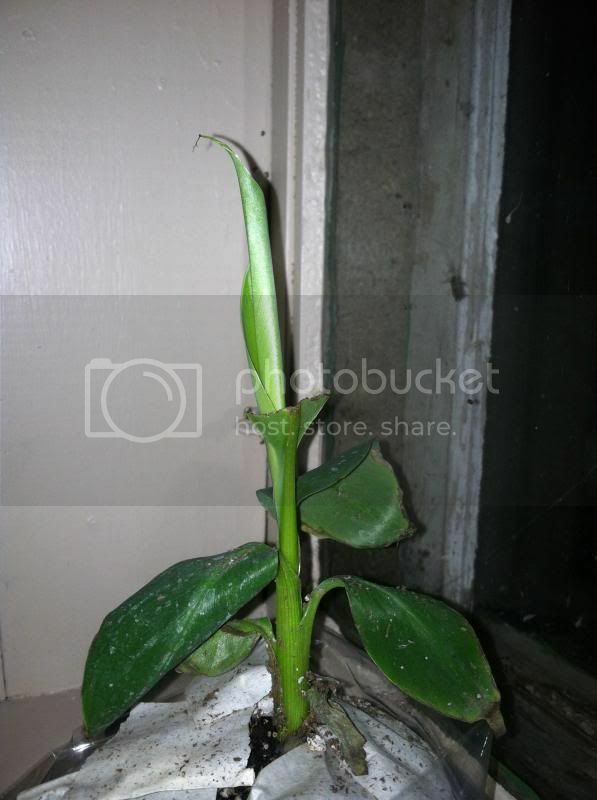 I will definitely give more updates here about our Banana Plant. Hey--you have a green thumb and soon you will have an adult banana plant!! That's really exciting to watch a plant grow. I plan on doing this during the summer this year. My dad used to have banana trees, when he passed, I actually moved them to my house from his and they did great. When I moved them again though, they did not make it. Should have stayed at my old house where the trees and I were happier, lol. Glad your little tree is showing signs of growing. I love my plants. It looks healthy to me!! what a pretty plant. :) that would look great indoors or porch or patio. As in dawarf sya Mommy? Where did you buy it?